The number four conglomerate in the lighting industry came to Structure looking to wow their customers and step up to its 3 big competitors at its next showing. They had just gone through a multi-million dollar renovation at their corporate headquarters in Kansas and what better way to show them off then to take their office design to the show floor. Laced with a ceiling that covers the entire 20×20 space we were able to show the Eiko products as they were intended to be used, from overhead. 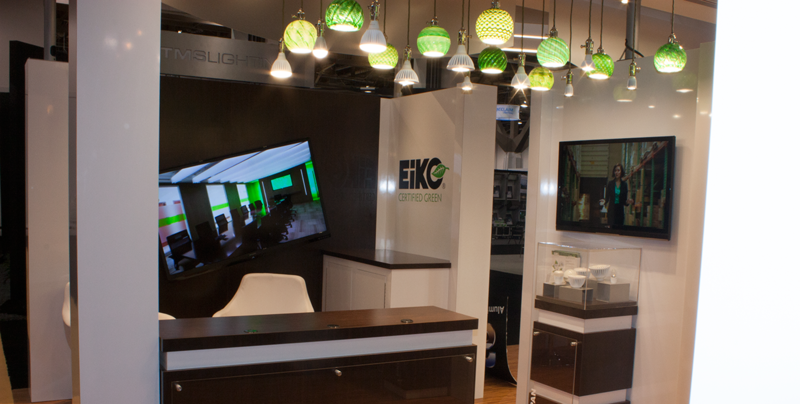 With a built in electrical system throughout the exhibit Eiko could dim, turn on and turn off each individual light allowing them to educate their client about each of their products.